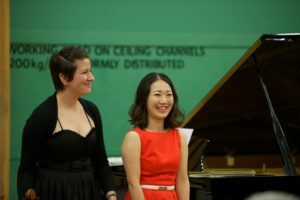 Gemma Lee, the first Pettman DARE Fellow in Music Education, completes her nine-month Scholarship period in the UK and embarks on her three months with NZ Opera and the University of Auckland, this document reflects on her activity and achievements whilst at Opera North and the University of Leeds and looks forward to her programme in New Zealand. On 20 November 2014, a reception at the Royal Overseas League in London launched the first Pettman Dare Scholarship in Music Education. Via a film-link to Auckland, Gemma was warmly welcomed by leaders from the arts and higher education in the UK,as the first Music Education Scholar. As a Research Scholar at the University of Leeds, at the School of Performance and Cultural Industries, and gaining hands-on experience as a member of the Opera North Education team, Gemma was immersed in learning and practice from the beginning of January 2015. 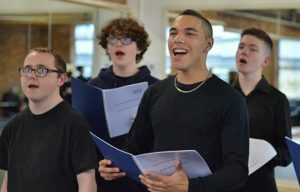 Working with artists on the Opera North Children’s Chorus, to deliver weekly rehearsals; help at vocal auditions; and assist in the planning and delivery of large public performances, gave Gemma an insight into project and event management and experience of developing vocal technique with young people outside. As a team member managing Opera North activity at Harehills Family Arts Festival; at the Swanhunter indoor camping adventure; and at the Little Voices Big Sing in the Howard Assembly Room, Gemma learned more about working with families and children in a community setting. 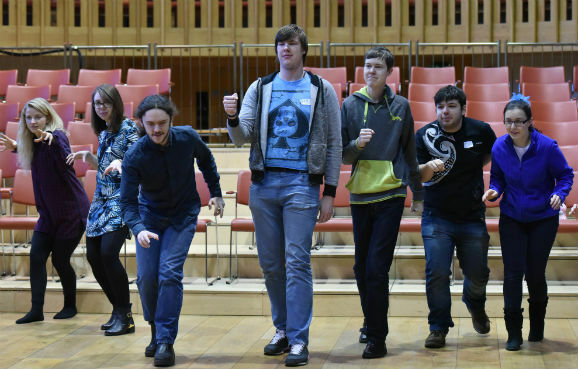 Accompanying Opera North Verve sharing event for 8–25 year-olds with learning difficulties, and supporting weekly sessions of Switch ON, for those who experience homelessness, gave Gemma valuable experience in working with vulnerable young people and adults. 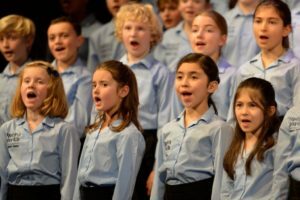 Participating in artistic planning for In Harmony; and meeting the BBC Philharmonic and Music Hubs across the north of England brought Gemma into contact with Music Education specialists and arts practitioners internally and externally. Gemma was in at the beginning of Opera North’s new programmes of Music Education activity in Hull – even giving a performance for students at Exchanging Notes and accompanying sessions of the Opera North Singing School. Throughout her Scholarship Gemma has studied at the School of Performance and Cultural Industries at the University of Leeds. Together with post graduate students she has undertaken modules directly relevant to music education and developing an understanding of the cultural sector. Courses have included Creative Work, a critical analysis of the creative sector in the UK; which deepened Gemma’s insight into the sector and developed her ability to reflect on and apply what she experienced. The Collaborative Performance Project, which showed how students learn about and prepare for working creatively with schools. Gemma also gave presentations to MA students. Attending national conferences at the Guildhall School and Sage Gateshead, and meeting with experts at major arts organisations, helped Gemma acquire knowledge and new networks that will stay with her throughout her career. Undertaking formal training in skills including autism awareness, fundraising and marketing will help Gemma as she develops her career at a senior level. Gemma spent a week at the Dartington International Summer School in August, acting as administrator and stage management assistant, working closely with crew members. She was also the administrator for the Royal Overseas League Arts ‘Music and More’ seriesprogramme at Edinburgh Fringe Festival in August, managing artists, customer service and box office. Connecting with Opera North’s Opera Quest initiative in Nottingham inspired Gemma to create a new Music Education workshop to deliver in partnership with NZ Opera on her return to Auckland in October 2015. Opera Quest is a partnership between Opera North and the Prince’s Foundation for Children and the Arts, which provides a series of creative workshops for primary schools, enabling young children to experience a main stage opera for the first time. Gemma leaves the UK for Auckland on the 5th October. Her plans for delivering activity with NZ Opera and the University of Auckland fit impressively with the aim of the Scholarship – to make a positive impact in Music Education in New Zealand. Opera Half Hour, will bring the pleasure, and power of opera to primary school children in Auckland. 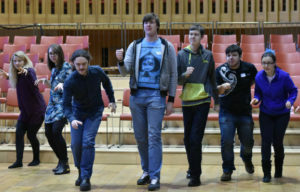 Supported by the Opera North Education team, Gemma has consulted with and secured the support of New Zealand Opera; has devised the workshop, engaged artists, connected with the school; has written the financial plan; and has secured the funds. 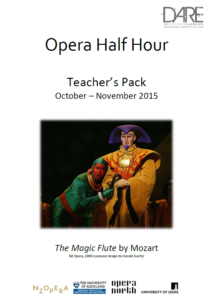 For six weeks between October and December 2015, Gemma will lead, alongside appointed NZO singers, interactive workshops that will explore the themes and characters of Mozart’s The Magic Flute, before giving a half-hour public performance at the NZ Opera Onehunga Technical Centre. From January 2016, Gemma took take up the post of Events Coordinator for the National Institute of Creative Arts and Industries at the University of Auckland. Head of School Alan Badley said her appointment was directly influenced by the project management and music education knowledge and experience she gained in Leeds.